Netsparker is pleased to announce a new scanning and compliance feature for Netsparker Enterprise On-Demand. You can now receive approved PCI compliance reports for all your public websites scanned by Netsparker Enterprise, or discover what vulnerabilities need fixed before your PCI compliance is passed. The PCI is the Payment Card Industry Security Standards Council. The PCI is an organization that was created to increase controls around cardholder data to reduce credit card fraud, and to produce security standards for payment account security. These PCI standards and requirements for security compliance are the benchmark for the entire industry. Netsparker has a history of appreciating the importance of PCI compliance. We have analyzed its challenges and scope, and provided advice on how to implement it. We have kept up-to-date with newly-released PCI DSS versions. And we have encouraged the use of Netsparker products when Meeting the PCI DSS Vulnerability Scanning Requirement. Netsparker Enterprise now enables PCI Scanning for all your public websites in order to demonstrate compliance. 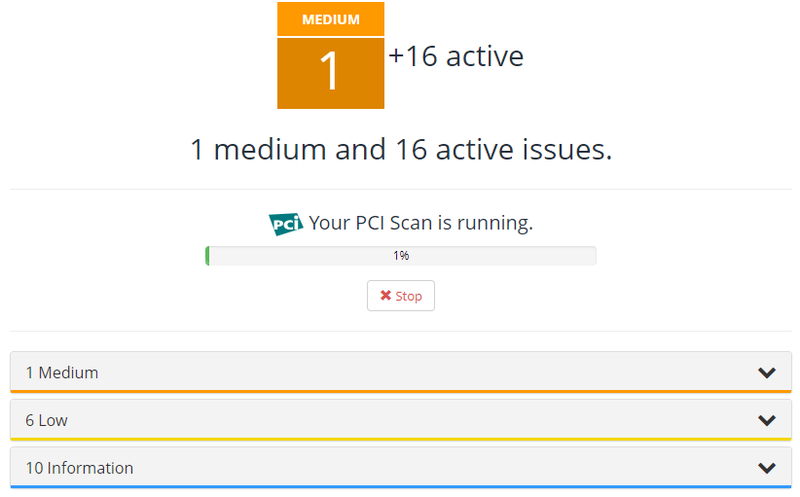 When the PCI scan is complete, passed websites will receive an approved compliance report. For those websites that fail, you will have a list of specific vulnerabilities to fix before rescanning. For ease of use, you can conduct this PCI Scan while running a regular Netsparker Enterprise scan. Although the scans are independent of each other, they can be managed together. 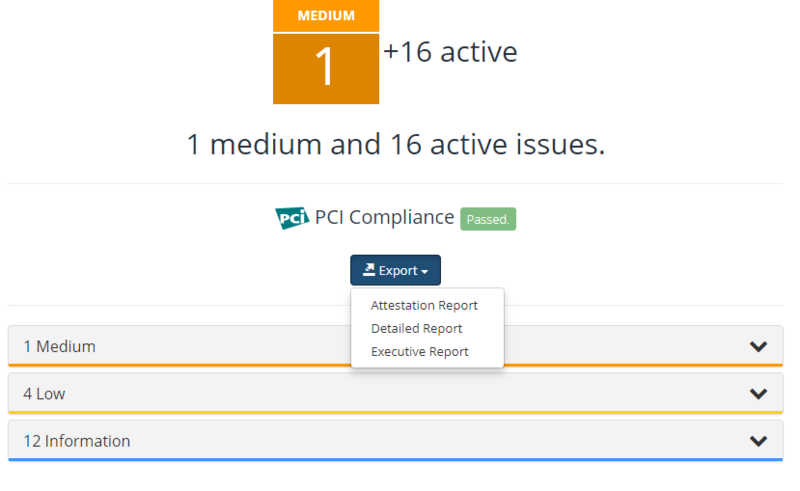 Once complete, you can choose which of type of PCI Scan Results Report you want to export. For further information, see PCI Scanning in Netsparker Enterprise. What Changed in the New PCI DSS 3.2? Is Your Web Vulnerability Scanner Approved by PCI?